The Lord considers teaching to be a vital part of ministry to restore, heal, encourage, bind up, build up, stir up and grow up the body of Christ. His Word brings life, liberty and health to the deepest part of our being! There is nothing like it in all the earth making it possible for us to know and experience the depths of God’s heart. Therefore, our aim is to connect the heart of women with the heart of God through the teaching of His Word! The weekly radio broadcast is dedicated to this crucial aspect of ministry. Our weekly air time is made possible through generous donations. ​When God's People Work Together! Fresh resources for growth are on the way! Making use of both old and new technology we will be providing opportunities for women to grow and stir up their faith. 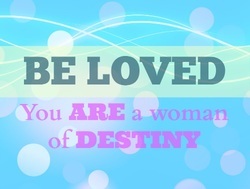 ﻿﻿A One Day Conference to inspire, equip and mobilize a community of women! In the Fall of 2016 we are preparing an opportunity for women to hear from and connect with various ministries throughout our area . This will be a day to drink in fresh vision and inspiration! God has given us a great vision but we can't carry it out alone. We are a small team who volunteer their time, energy and resources in order to offer the Lord and the people we serve our very best. We have no paid staff, we are simply fueled with faith and love! We ask that you please pray for us and ask the Lord if He would have you invest in the ongoing work of this ministry. ​Your prayers and support are invaluable to us!